IAVM is pleased to announce the launch of FM Encore, a digital quarterly magazine set to debut in April. Each issue of FM Encore will feature a specific industry topic that will be covered on every page of the magazine. For example, the initial issue will have a focus on safety and security with a series of articles on the topic written by industry-wide subject matter experts and IAVM members. “There are many, many compelling topics in the public assembly venue industry that we address in every issue of Facility Manager magazine, but FM Encore will differ in that one primary topic will serve as an umbrella with a series of articles offering valuable content from cover to cover,” said R.V. Baugus, Facility Manager senior editor who assumes the same role with FM Encore. IAVM sent a survey to members earlier this year to seek input on topics deemed important for FM Encore to consider covering. Not surprisingly, safety and security placed atop the responses. In addition to the Spring issue’s coverage of safety and security, additional issues will include: Operations/Guest Services (Summer), Security Technology/Cyber Security (Fall), and Diversity and Inclusion (Winter). “Security is such a far-ranging topic that drilling down to cover the aspects of technology and cyber security made sense as its own stand-alone issue,” Baugus said. Be sure to look for your first issue delivered to your inbox in late April! Please contact rv.baugus@iavm.org with any interest in contributing to future issues of FM Encore. To learn more about advertising opportunities with the digital FM Encore, please contact Lori Harvey at lori.harvey@iavm.org. Mention this blog post, and receive a onetime 30% discount on your ad in the Spring! 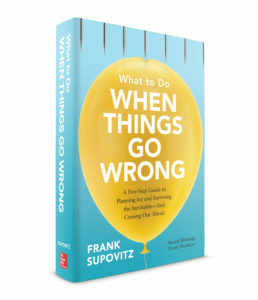 What to Do When Things Go Wrong: A Five-Step Guide to Planning for and Surviving the Inevitable – and Coming Out Ahead, a new book by award-winning event producer Frank Supovitz, will be released by McGraw-Hill Education online and in bookstores on May 17, and available for download on Kindle on May 3, 2019. The book provides knowledge, insight, and prescriptive techniques to help business leaders and project managers navigate through crises large and small. “We learn more from the things that go wrong than things that go right,” said Supovitz, CEO of Fast Traffic, an event management and consulting firm based in New York. “But, it’s a whole lot better to learn from the things that went wrong for someone else!” The book was inspired by the popular live program of the same name that Supovitz has presented to a wide range of companies, associations, and trade organizations since 2014. Supovitz, who served more than 20 years combined as the head of events for the National Hockey League and National Football League, shares best practices for crisis management drawn from memorable stories and case studies based on his own challenges, as well as those faced by others in a variety of businesses and situations. Among the most recognizable and revealing stories explored in the book was his management of the team responsible for recovery during the Super Bowl Blackout. Award-winning correspondent Armen Keteyian, who was with Supovitz as a camera crew from 60 Minutes Sports captured the behind-the-scenes story of the blackout, wrote the foreword for What to Do When Things Go Wrong. What to Do When Things Go Wrong provides the knowledge and insight needed to navigate through any problem. It shows how to think through the five stages of working through every project: Imagine, Prepare, Execute, Respond, and Evaluate. Frank Supovitz previously wrote The Sports Event Management & Marketing Playbook (Wiley), the definitive go-to text used by professionals and top sport business university programs for more than a decade. What to Do When Things Go Wrong is currently available for pre-order on Amazon.com, bn.com, and other book retailers. For more information on What to Do When Things Go Wrong, or to contact Frank Supovitz at Fast Traffic, please email info@fasttrafficevents.com. The Sports Innovation Lab successfully launched its first Leadership Board in January focusing on Athlete Data with decision makers from across the industry. Today, the Sports Innovation Lab is proud to announce the launch of its second Leadership Board focused on the opportunity for the sports and entertainment industry to engage the next generation of fans with “smarter” venues. 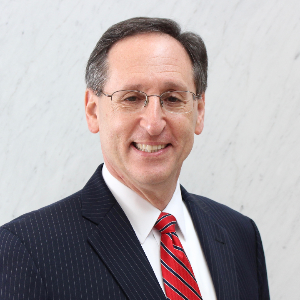 Industry veteran and long-time IAVM member Bobby Goldwater, Georgetown University Sports Industry Management/The Goldwater Group, serves as co-chair. The Sports Innovation Lab continues its formation of leadership boards in 2019 around specific topics related to the intersection of sports and technology. Leadership Boards bring together an invite-only group of executives around an annual program designed to prepare the sports industry for the future. Each board member benefits from facilitated research-based discussion powered by the Sports Innovation Lab’s market intelligence software. The Smart Venue Leadership Board is composed of companies and executives that represent a diverse ecosystem. Executives from venue construction, design, management, ticketing, food & beverage, venue management, point-of-sale, mobile commerce, payments, connectivity, transportation, biometric identity and more were invited to join. Today’s fan experience requires the seamless integration of technologies throughout a venue and its surrounding area. It is imperative that teams, technology vendors, and venues work together to continue enhancing the experience for the fan. Coming from such a small venue, working remotely and just starting out in the early part of my career, I have had to seek out opportunities to expand my network and develop professionally. The difficulties of working remotely have led me to take the initiative to seek out a Mentor and get involved with this instrumental Association. Not being in an office environment has presented speed bumps for me to brainstorm new ideas and learn from fellow co-workers. At this point in my career, I sought out an opportunity via the Mentor Connector Program to learn from industry leaders and apply my membership benefits. After applying for the Fall Cycle, I was pleased to find out that my Mentor, Mac Campbell, is just a hop, skip, and jump away down at the Baltimore Convention Center. Serving as the deputy director, Mac’s industry expertise and leadership skills has provided me an avenue to educate myself, become inspired, and advocate for the Mentor Connector Program. With our close proximity, I was fortunate enough to meet Mac face-to-face earlier this year – all the more the reason to write a blog post! There were not enough hours that day to discuss everything we wanted to, so we’ll be meeting up again soon in a couple of weeks. I am eager to learn from his experience, start on my goals, and build a foundation. I can already see the impact this program is having on my personal life and my career journey. Thank you for this opportunity IAVM! Michelle Witkins is director of meetings and events at the Top of the Hill Banquet and Conference Center in Washington, D.C. This is what the live entertainment industry means to its fans. 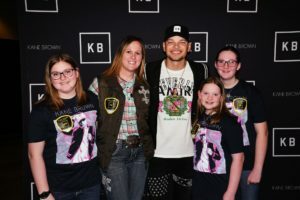 Country music artist Kane Brown extended a special meet and greet request prior to his performance at the Swiftel Center in Brookings, SD, to members of Tanner Schwagel’s family – Hilary (mother) and three sisters (Cassidy, Brooke, and Bailey). Tanner, age 16, of Milbank, SD, passed away October 7, 2018, in Sioux Falls. Tanner was on the hood of a moving car on a rural road southeast of Milbank when his foot got caught on the front bumper and he was dragged beneath the car. Tanner was first taken to the Milbank hospital, then was airlifted to a Sioux Falls hospital where he passed away. Tanner was a sophomore at Milbank High School at the time of his death. Prior to Tanner’s death, his mother – Hilary – had purchased tickets to the Kane Brown concert at the Swiftel Center as a surprise for Tanner. Kane Brown was one of Tanner’s favorite artists and he had mentioned on several occasions his excitement about wanting to see him perform. To honor Tanner’s memory, Hilary and three of her daughters attended the concert. 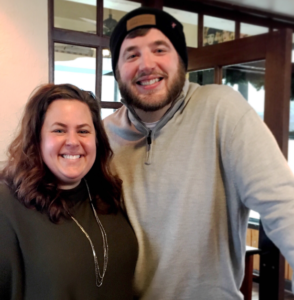 Hilary reached out to Swiftel Center venue management who connected with tour management who ultimately extended the special meet and greet access to the Schwagel family. Hilary expressed how special it was to meet Kane Brown as he was such a big part of Tanner’s life. Hilary also shared that her father served in the National Guard for 35 years and was deployed twice while she was growing up. Kane’s song “Home Sick” holds a very special spot in her heart as it brings back all the memories of when her dad served for our country. Tanner was a member of the Northern Lights 4-H Club. Shooting sports and welding were his favorite projects. Tanner also loved fishing and hunting. He would spend time checking for fish at the creek and would wander through the pasture to see if there was any wildlife walking around. Tanner liked to prank his mom and sisters, yet, he had a tender side for them even though he was a “teenager.” On Halloween, one of his favorite pranks was to ring the doorbell and hide from his family who answered the door, a silly prank to make people laugh. Photo from left: Brooke Schwagel, Hilary Schwagel, Kane Brown, Bailey Schwagel, and Cassidy Schwagel.